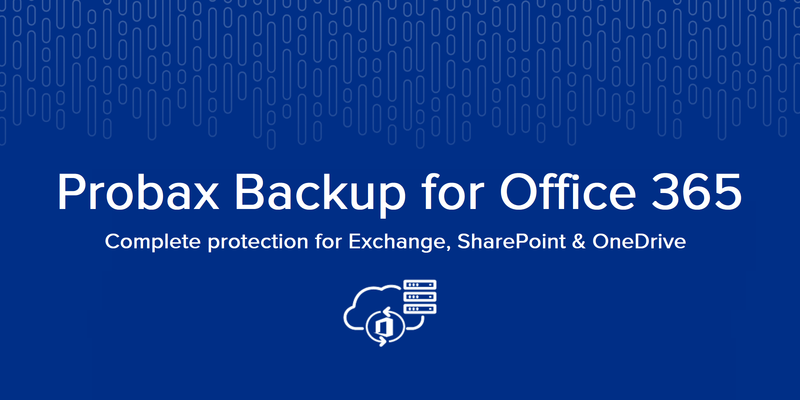 To help MSPs grow and expand upon their Office 365 revenue, Probax today released version two of their Backup for Office 365 product, which now protects SharePoint Online and OneDrive for Business, in addition to Exchange Online. The company has also expanded the solution’s AWS storage locations to support channel partners in Australia, USA, and Canada. 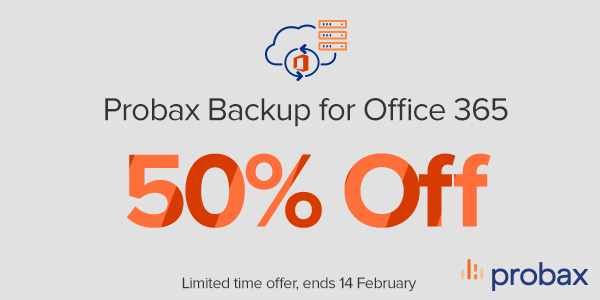 Probax Backup for Office 365 protects data inside the Office 365 infrastructure, enhancing the automatic data replication Microsoft provides across its data centres. The combination of Probax and Microsoft solutions enables companies to have complete control of their data and helps ensure availability to users across Exchange Online, SharePoint Online and OneDrive for Business. Meet legal, compliance, and data sovereignty requirements with efficient eDiscovery of Office 365 backup archives and your choice of AWS storage location (USA, Canada and Australia). For more information, please refer to our media release (USA / AUSTRALIA) or products page.